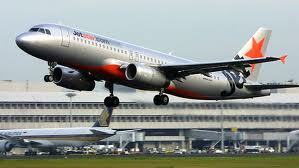 Fatigue Management needed at Jetstar? Wow the papers are all a buzz today with the ‘princesses’ emails circulated by management. Classic example of where fatigue management is not being taken seriously by some senior management. The letters border on workplace harassment and bullying. Read the following article from the Herald Sun – very interesting. ONE of Australia’s most experienced pilots has defended his Jetstar colleagues, branded “princesses” in an email from a supervisor. Qantas A380 pilot Captain Richard Woodward, who is also the vice-president of the Australian and International Pilots Association, said that concerns about fatigue were serious. He said research showed pilots who were tired caused problems, and changes were needed to ensure that pilots were more alert and to improve passenger safety. “That doesn’t mean there was an accident in the waiting, but it did mean the crew were tired and making mistakes,” he said. “We are working with the airline to try to introduce a proper risk-management system,” Capt Woodward said. The Jetstar pilots were sent an email ordering them to “toughen up, princesses” from a pilot manager after colleagues complained about being tired after flights between Perth and Singapore. AlertForce are the experts in Fatigue Management Training. The road transport industry has been grilled since 2008 and before, it may be now time that aviation comes under similar scrutiny. You look at our fatigue management courses here.